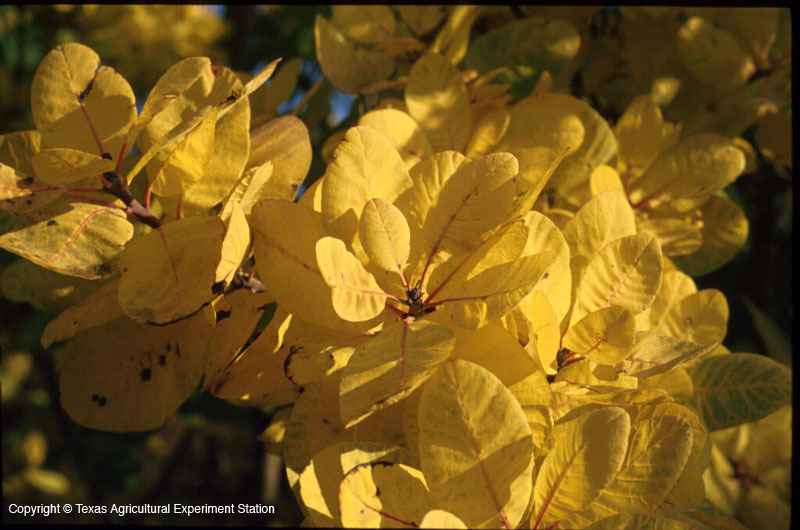 American smoke tree is found in a few small populations in the Hill Country, where it grows on limestone hills and river bluffs. 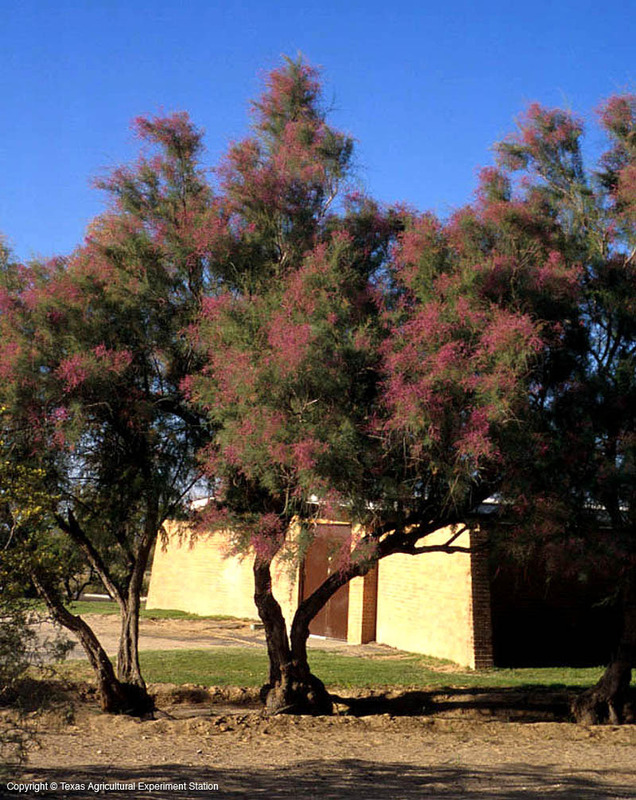 It has billowy spring panicles of showy pink to purple-pink flowers, which from a distance look like a haze or smoke rising from the tree. 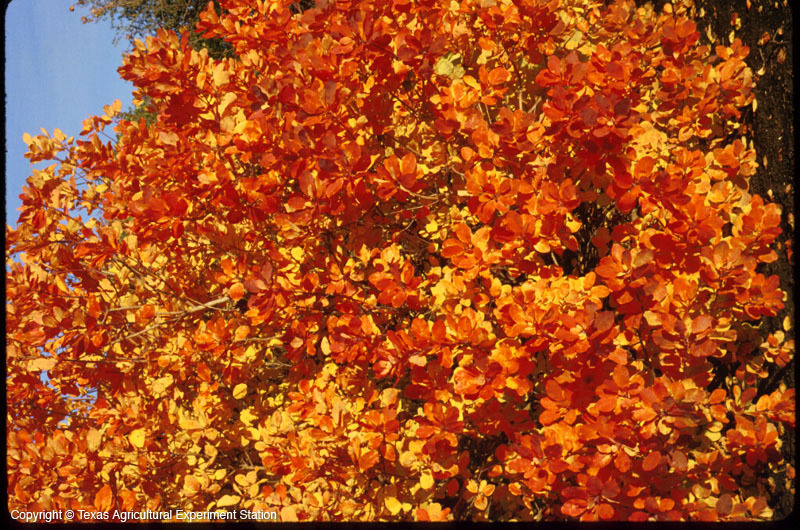 Its fall foliage is spectacular shades of yellow, orange, to scarlet. 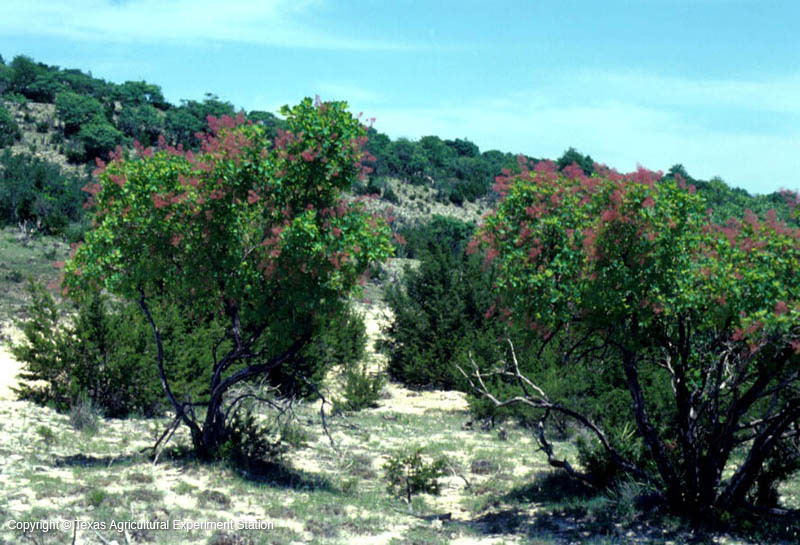 American Smoketree is very heat and drought tolerant and highly tolerant of limestone soils, which make it a good choice for Texas use over the European species, Cotinus coggygria. 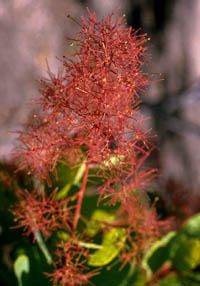 Old specimens can develop dark gray flaky bark.